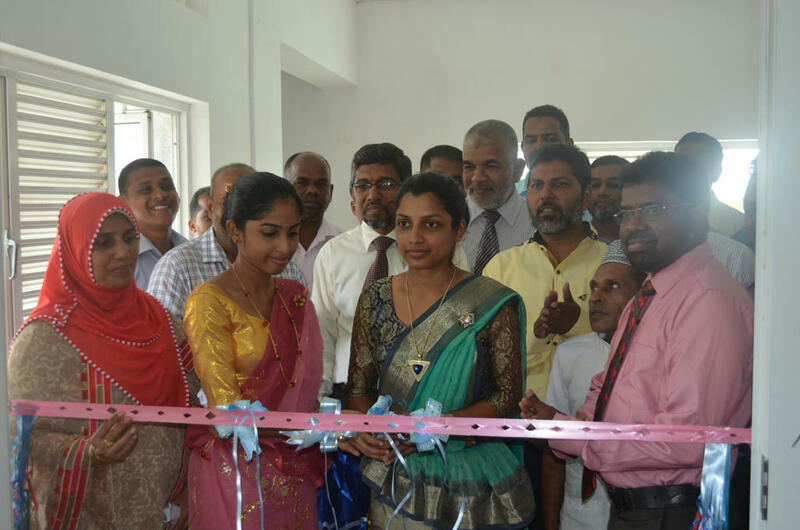 Science Library services of South Eastern University of Sri Lanka was inaugurated at the new administration building of Faculty of Applied Sciences at 10.30 am on Friday 23rd October, 2015. 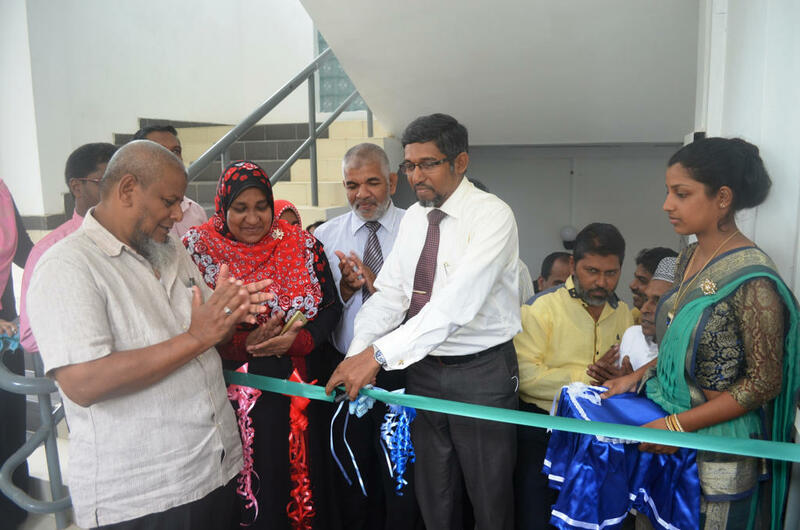 Professor, M.M.M.Najim, Vice-chancellor, South Eastern University of Sri Lanka declare opened this library to mark the university Founder's Day and to commemorate late minister Dr.M.H.M.Ashraff, the founder of South Eastern University of Sri Lanka. of South Eastern University of Sri Lanka stated that Prof.M.M.M.Najim, the new vice-chancellor of the university was given the first membership and issued a book to remark this occasion. 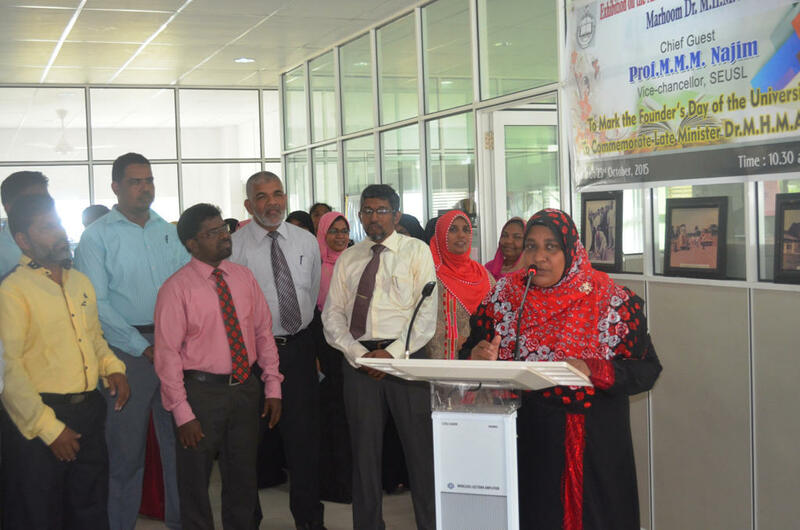 Mr. H.Abdul Sathar, Registrar, Mr. M.M.Rifaudeen, University Librarian, Dr.(Mrs). 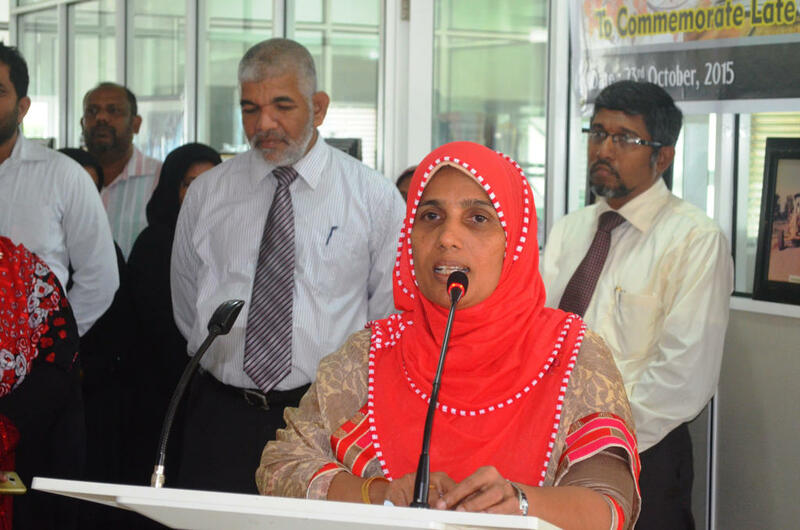 MIS.Safeena, Dean, Faculty of Applied Sciences and Mr.K.L.M.Nazeer, Acting Bursar, participated and graced the occasion. 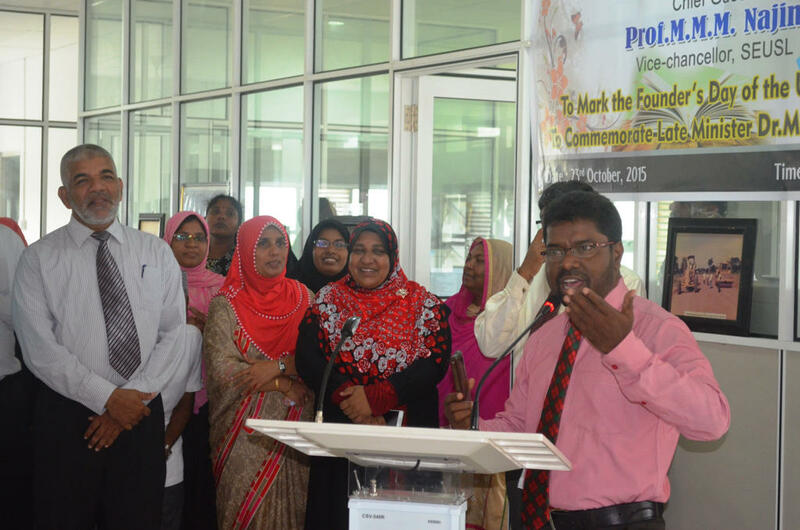 Deans of other faculties, heads of departments, academic, administrative, non-academic and students union also participated. Dr. M.H.M Ashraff has tirelessly worked hard and dedicated much to establish this university in the South Eastern region of Sri Lanka. This is described as a milestone of the educational revolution of Muslims and especially the whole South Eastern region. Science Library is a branch of the Ashraff Memorial Library of South Eastern University of Sri Lanka. This library houses around 25,000 books related to the curricula of Faculty of Applied Sciences, some leisure and general readings and rare collections of Prof. Sultan Bawa, Father of Chemistry in Sri Lanka. Mohamed Majeed Mashroofa Hameem, Senior Assistant Librarian, Head, Science Library mentioned that Science Library of South Eastern University of Sri Lanka at the new administrative building complex will have state-of-the-art facilities, online resources, support services to enhance access to the collections and online resources. She also thanked the vice-chancellor, university librarian, registrar, dean of the faculty and acting bursar for their support to shift the library to the new building. To mark the official opening, Prof. M.M.M.Najim, Vice-chancellor addressed the gathering on Library use to achieve academic excellence. Library users are being asked to use the resources to get world of knowledge. 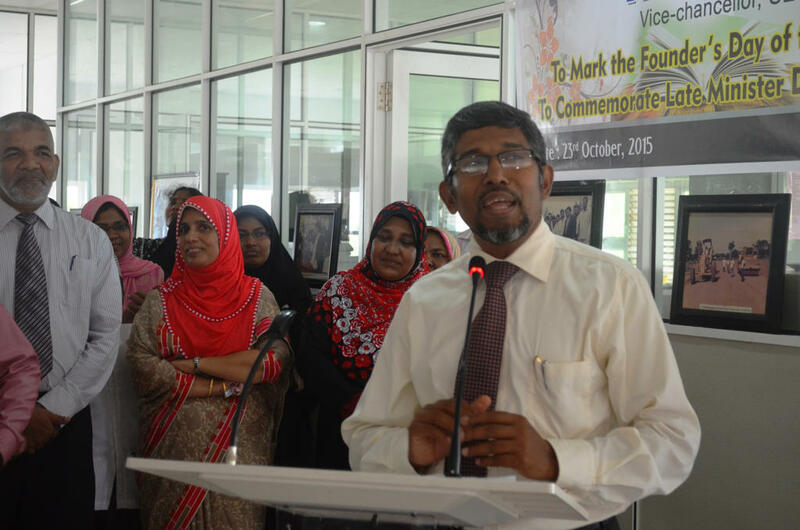 Exhibition on the works, parliament speeches, contributions and services of Dr. late Minister MHM.Ashraff was also kept opened for the public.